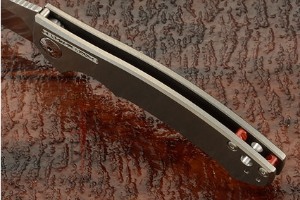 Blade height (at heel): 0.83 in. The Dmitry Sinkevich designed ZT 0450 flipper is a compact version of the award-winning ZT 0454 folder, making it built for pure performance in an every day carry perfect size. The blade deploys using the built-in flipper. 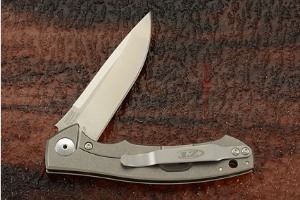 Just pull back on the flipper and the razor-sharp blade rotates out of the handle on ZT’s glass-smooth KVT ball-bearing system. No springs required - just simple, one-handed opening. 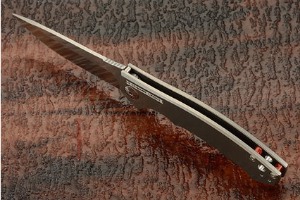 The blade is made from Crucible S35VN for strength and excellent edge retention. The flats have been stonewashed while the grinds have been satin finished, emphasizing the clean grinds. Jimping along the spine allows for a secure thumb purchase. 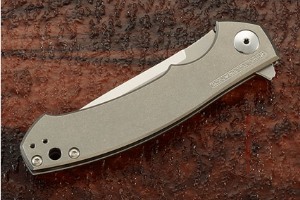 The titanium handle has a sturdy frame lock ensuring blade lockup. As an extra visual touch, ZT has added two ruby red anodized aluminum tube spacers that are especially eye-catching, standing out against the titanium handle. 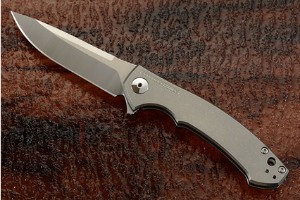 Includes a pocket clip that can be mounted for either right- or left-handed tip-up carry. 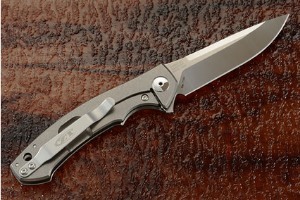 While it’s a smaller, more gentlemanly knife, the 0450 proudly lives up to the overbuilt standards that ZT is known for.